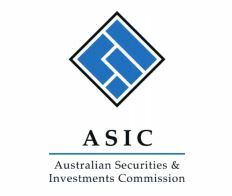 The list of global regulators investigating the manipulation of FX rates in a $5.3 trillion-dollar-a-day industry has continued well into 2014, with recent news of the Australian Securities and Investment Commission (ASIC) joining the probe in examining Australian markets for wrongdoing, according to an ASIC statement. This represents the first step by Australian regulators in an ongoing investigation that has led to several fines, firings and suspensions at some of the world’s leading financial institutions. Previously, forex manipulation charges have been levied against such leading banking stalwarts as UBS, Deutsche Bank and Lloyds Bank, among others. Although there have been no such allegations or charges yet issued against any entity, it stands as a testament to the scale of the manipulation that has roiled the industry in North America, Europe, Asia and now Australia. Australia now joins the United States, the United Kingdom and an assortment of European regulators in curbing the illicit manipulation of forex benchmarks. The UK’s Financial Conduct Authority (FCA) has since reported that it was unlikely to reach any conclusions, verdicts or prosecutions this year into the potential abuse – more likely attributed to the broad scale of abuse that focuses on collusion though chat rooms and telephone-based trading methods. This represents just another chapter in a lingering probe that shows no signs of slowing down.